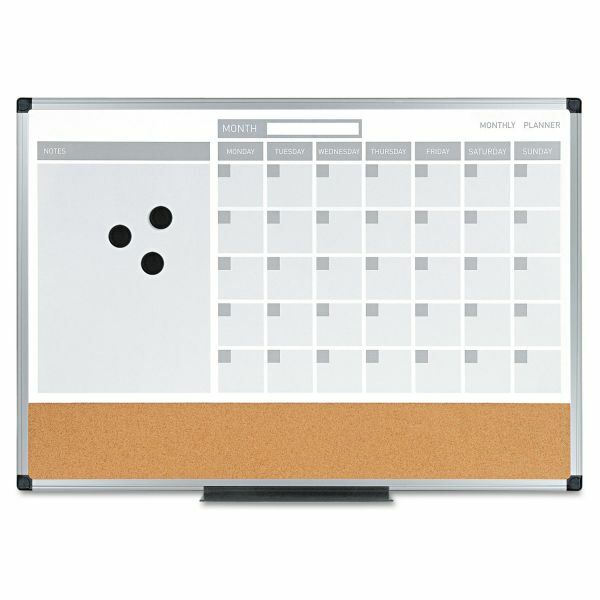 Magnetic Gold Ultra™ lacquered steel dry erase surface. Cork bulletin strip for posting important messages and notes. 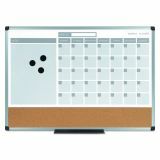 Perfect for cubicles, personal work spaces and home use. 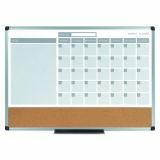 MasterVision 3-in-1 Calendar Planner Dry Erase Board, 24 x 18, Aluminum Frame - Functionality times three. This dry-erase calendar planner provides space for lists and a bulletin board surface for important cards and notes. Designed to fit in smaller spaces, MasterVision® personal home and office products can be used in any working context, boosting performance either in individual or team work. Easy four-corner mounting system - hanging hardware included.